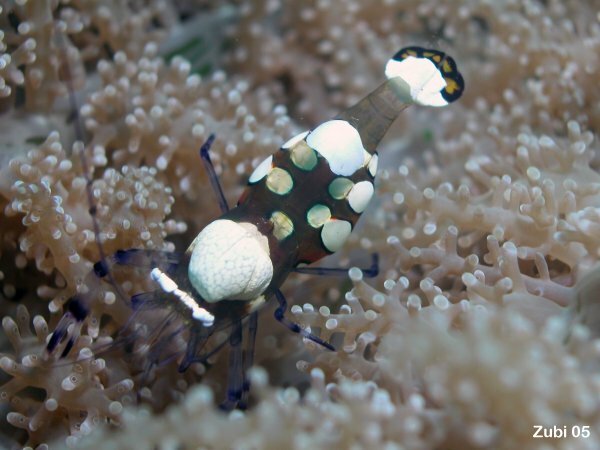 This Anemone Shrimp is nearly transparent and thus quite difficult to find. 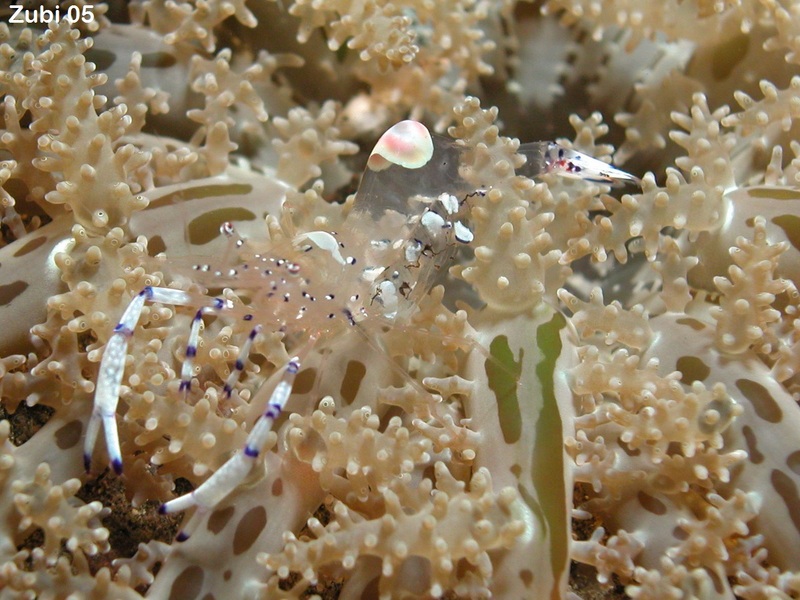 It is perched on a Branching Anemone (Megalactis griffithis), which seems to attract all kinds of shrimps. Don't confuse this anemone with the "Hell's Fire Sea Anemone", which looks nearly the same, but stings very much (Actinodendron glomeratum). The shrimp on this anemone is a differnt species, Ancylomenes venustus (before Periclimenes venustus), which has different coloured legs and carpace.